It wasn’t until 23 that Acumen Fellow Suhani Mohan first learned the magnitude of India’s menstrual hygiene problem. That’s because, despite being born into a highly educated family in Mumbai, Suhani hardly spoke openly about her period, let alone discussed menstruation with other women. Suhani isn’t alone. Across India, menstruation — although a natural part of a woman’s life — remains a deeply rooted taboo shrouded in secrecy, silence and shame. The social stigma not only stifles access to affordable, reliable products but also perpetuates India’s long history of discrimination against women. Today, more than 80 million women lack access to sanitary napkins in India and roughly 200 million girls lack awareness of menstrual hygiene. As a result, they rely on makeshift, unhygienic alternatives, such as newspapers and old rags, that increase the risk of infection. In fact, around 70 percent of all reproductive diseases in India are caused by negligent menstrual hygiene. Without safe, clean options, women continue to put their health, livelihood and dignity at risk. This was news to Suhani — until she met Dr. Anshu Gupta while volunteering through her job at Deutsche Bank. Dr. Gupta is the founder of Goonj, a social enterprise committed to breaking the myths around menstruation and providing safe solutions to low-income women. As he shared the challenges facing low-income women, Suhani felt ashamed for being completely unaware of the problem. “I never crossed my mind that when I spend 100 rupees ($1.50) a month to manage my menstruation, how a woman, whose entire family earns less than 1000 rupees ($15) a month, would manage hers,” she said. Compelled to learn more, Suhani embarked upon a 15-day train tour across the length and breadth of India to understand life in the rural countryside. As she visited village after village, she began to realize the extent of the disparity, particularly in remote, low-income communities where access to sanitary pads was extremely limited and high-quality products were nonexistent. Seeing the reality of the situation firsthand, Suhani began to question her path in life. Her role at Deutsche Bank was a sought-after job, but was she making a real difference? Being a volunteer was great, but was it enough? “Dr. Gupta showed me how many people were suffering,” she said. “That sense of urgency really made me see that it’s important. You can’t be in silence anymore.” She started to educate herself on all aspects of menstrual health and explore how she could use her skills and training from the Indian Institute of Technology (IIT) to improve the circumstances for her fellow Indian women. She teamed up with Kartik Mehta, a fellow IIT alumni who studied engineering design and worked in machine design and development for companies like General Motors. Together, they researched the sanitary napkin industry to understand the existing products on the market. They discovered a gap: not only were companies producing substandard products, but they also didn’t have the means to scale and reach the women truly in need. In December of 2015, tech-savvy Suhani and Kartik began drafting a design for a machine that would automate the production of low-cost, high-quality pads and a business plan that would empower local manufacturers to scale these machines. “While technology is making our lives easier, we believe that technology also needs to be used to address critical challenges that affect a huge segment of the population,” Suhani said. 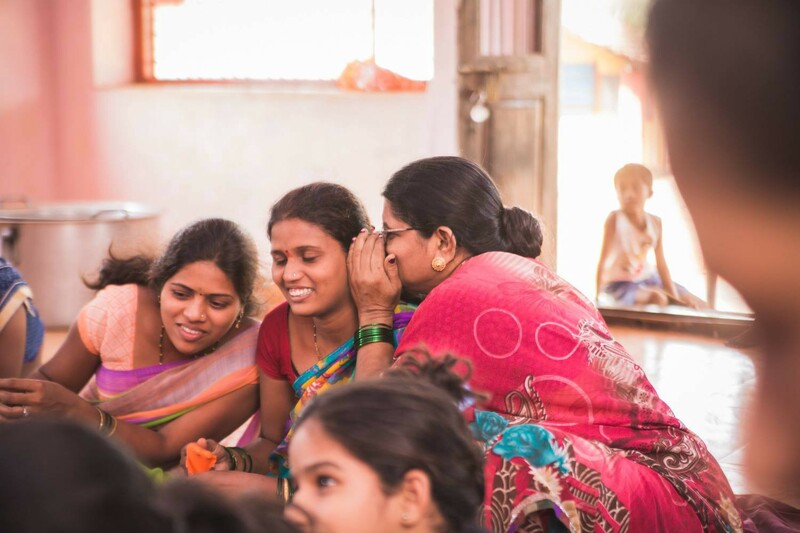 By June 2015, Suhani and Kartik had quit their jobs and founded Saral Designs, a social enterprise that provides access to quality, cost-effective menstrual hygiene solutions and helps women embrace their womanhood with dignity. Their machine had been built, their new and improved pad designed; they were open for business. Now all they had to find were customers. At first, Suhani turned to her friends and family to test out the product but, trying to be supportive, they failed to give her real, critical feedback. 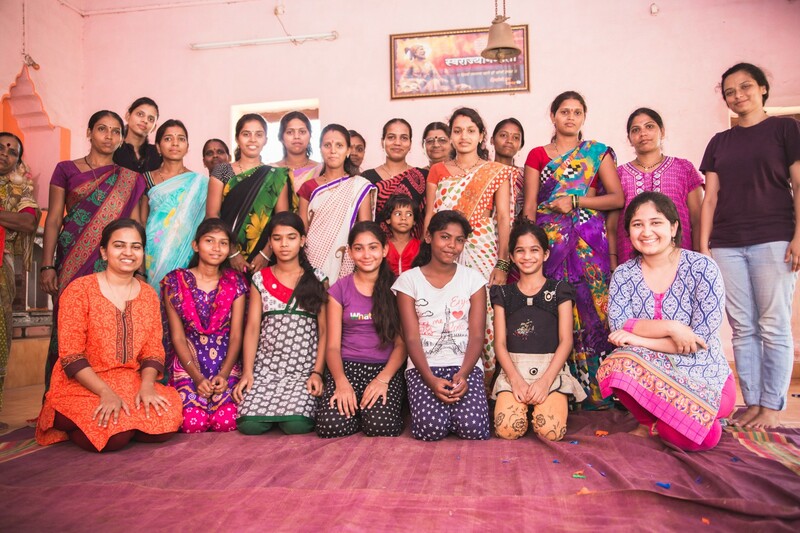 So Suhani, along with the other women on Saral’s team, ventured into Mumbai’s slums to see if they could find low-income women — the customers they ultimately wanted to serve — willing to try Saral’s pads. At first, they didn’t get very far but eventually, a few women opened up to them. Of the 15 women they met that day, 14 of them purchased a Saral napkin. These women were instrumental in helping Suhani and Kartik fine-tune their super thin, highly absorptive Active Ultra pads. A few of them even became Saral brand ambassadors, helping to secure new customers and distribute pads throughout the slums. 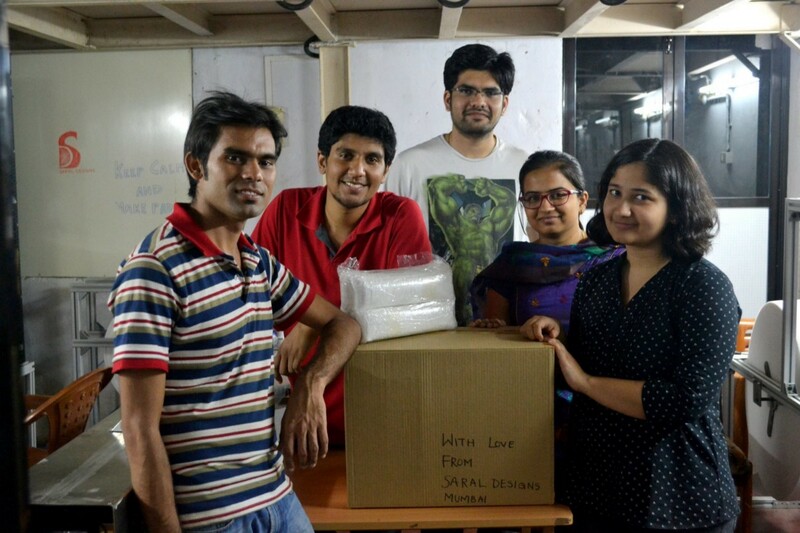 Today, Saral Designs has sold more than a million pads, using every channel from door-to-door sales to Amazon. The company has also partnered with schools across Mumbai to install vending machines and raise awareness among adolescent girls. In India, 113 million girls, ages 12 to 14, are at risk of dropping out of school due to the stigma of menstruation. For Suhani, this is only the start. Now 26, she is looking to find more effective distribution channels to reach the millions of women without access to high-quality hygiene solutions, like those she met on her journey across rural India. She also wants to see if Saral Designs can replicate its model of distributed manufacturing for other essential consumer products. “Entrepreneurship is a marathon,” Suhani said. “It’s not a sprint. It may happen that you get acquired and you’re out of it in five years but, when you start, that should never be the motivation. We are working toward a future where women will have access to a variety of services and products for their health and hygiene at a price they can afford.